When you are looking for the simple bare necessities, I bet cupcakes don’t come to mind. I mean, the last thing I am thinking about when I am trying to relax is baking cupcakes. However, after I read the recipe and saw how easy it would be to make these yummy Honey Cupcakes, I had to think twice. Perhaps after I bake these easy cupcakes I can relax like a bear with the bare necessities. Yeah Man! This recipe is full of simple ingredients that are easy to find if you don’t already have them in your house. Even the honey was simple for me to get since I keep a jar of real local honey on the pantry shelf. just think, Local Honey Cupcakes…NOM! Can’t argue with that. Cupcakes make me happy! Once you finish your cupcakes and decorate them as desired, you can display your freshly made cupcakes on The Jungle Book Cupcake Stand to complete the jungle theme, if they make it that far. My family is usually like a pack of ravenous animals hunting for their next delicious treat. I have to fend them off just to be sure I get one myself. 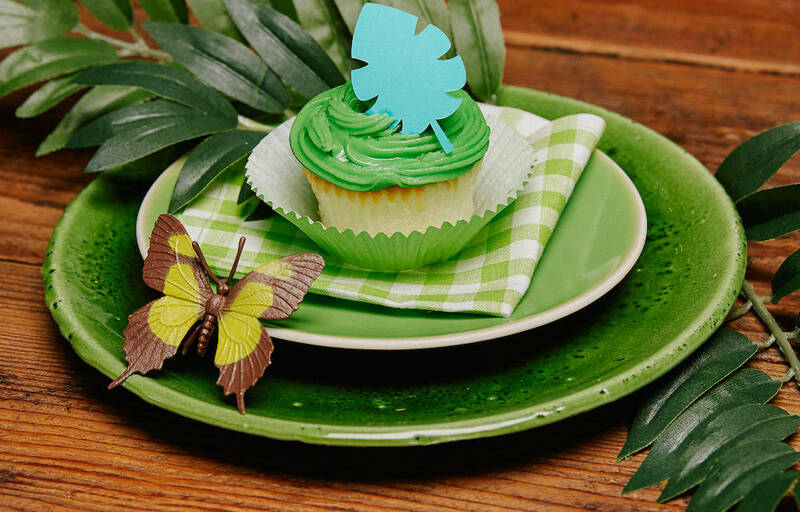 Follow the recipe below to make yummy Jungle Book Honey Cupcakes. Click the print button to save the recipe in your own recipe book. Be sure to grab the free Jungle book printables on my site by clicking the link below. It has fun activities, coloring pages and crafts the whole family will enjoy. Disney’s The Jungle Book is now playing in theaters in 3D!